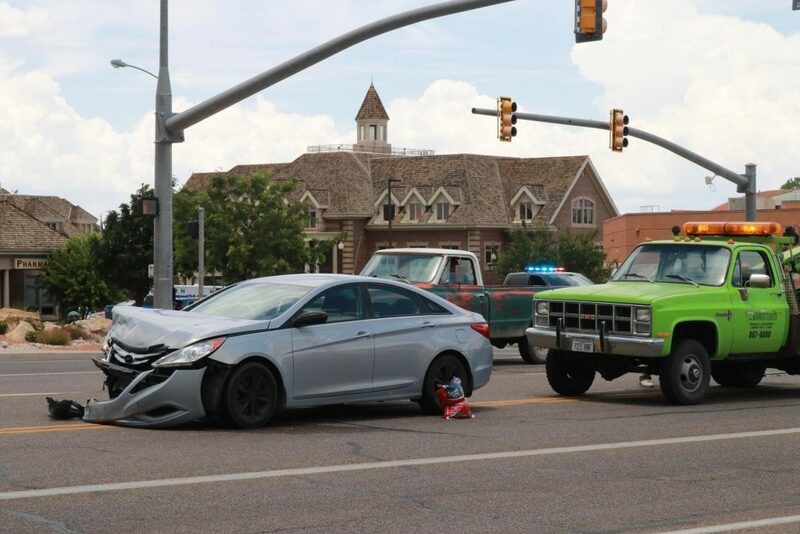 CEDAR CITY – One crash at the intersection on Main Street became two Monday as traffic slowing for the wreck resulted in a rear-end collision. 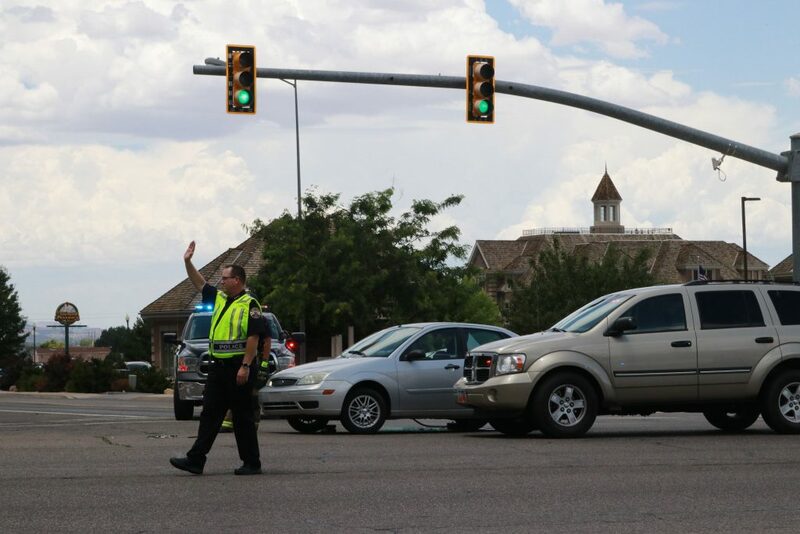 Around 1 p.m., Cedar City Police and the Utah Highway Patrol responded to a two-vehicle collision at 1325 N. Main Street. 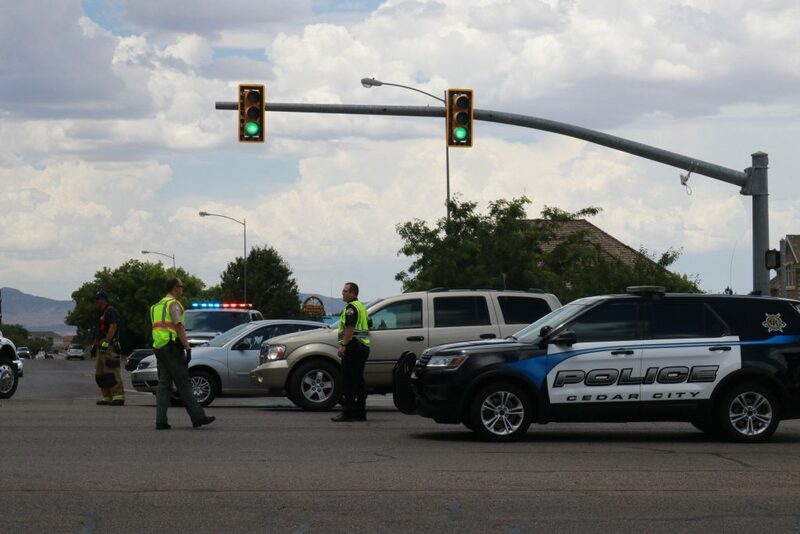 The driver of a Hyundai passenger car was southbound on Main Street when they ran a red light at 1325 North, Cedar City Police Sgt. Jerry Womack said. At the same time a Ford Focus was moving westbound across the intersection and was T-boned by the Hyundai. 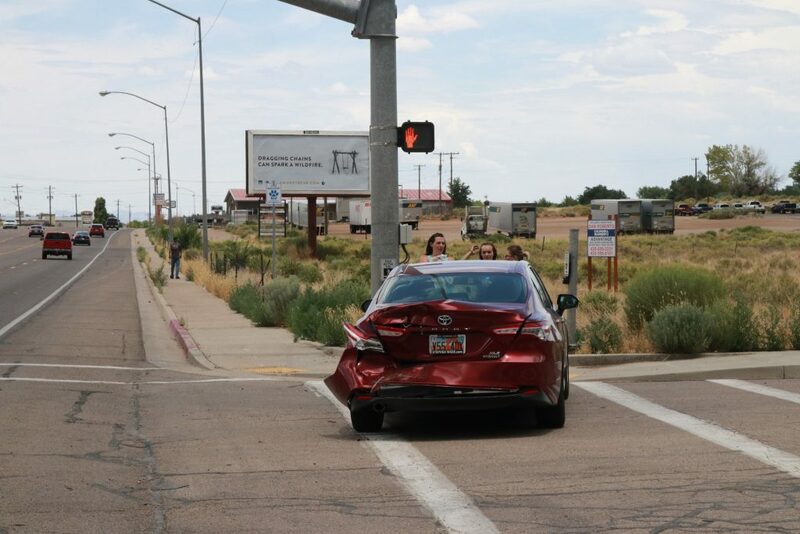 Minor injuries resulted from the collision, with an occupant of the Ford Focus being taken to Cedar City Hospital by ambulance for examination. 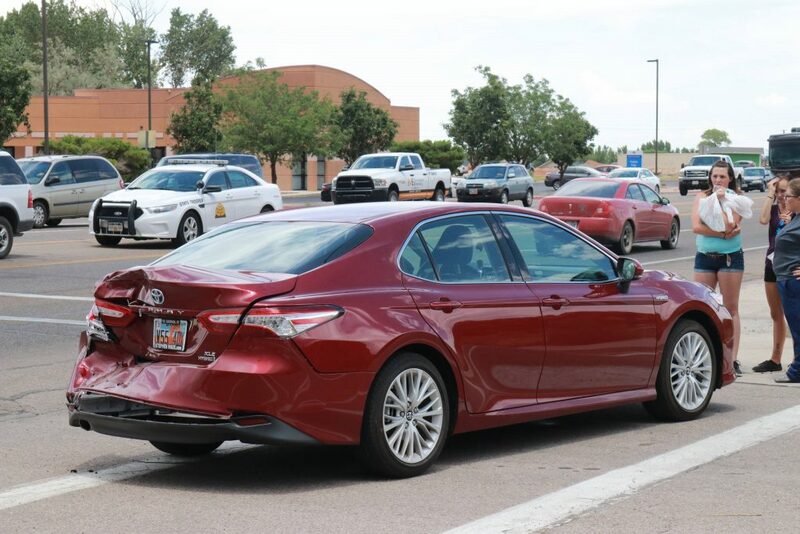 The Hyundai’s driver was cited for running the red light. 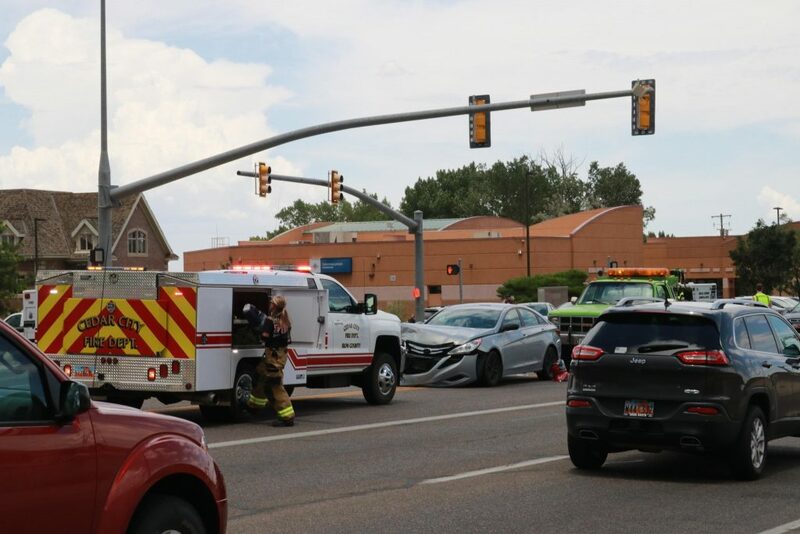 While authorities were dealing with the first collision, the driver of a Chevy pickup was allegedly not paying attention to the traffic ahead of him slowing as it was moving around the original crash. That resulted in the pickup smashing into the rear-end of a Toyota Camry, Womack said. No injuries resulted from the second collision and no citations were not immediately issued, Womack said.